A few scenes from the Parker River National Wildlife Refuge. The refuge occupies most of Plum Island in Newbury, Newburyport and adjacent towns in Essex County on the northeast coast of Massachusetts. It contains a wide range of habitats, from salt marshes, to secluded pine woodlands, to open ocean beaches, and has been a favorite spot for birders and other naturalists since the nineteenth century. All photos below are © R.J. O’Hara. 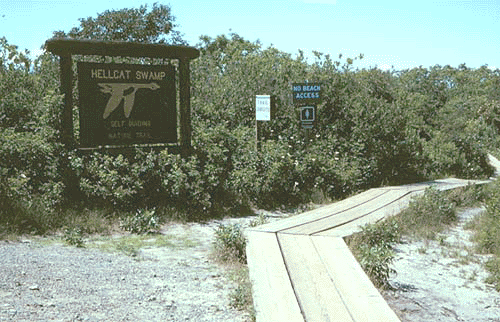 Hellcat Swamp Trail — The principal entrance to the Hellcat Swamp Trail in the Parker River National Wildlife Refuge on Plum Island. The relatively protected part of the island that the trail passes through is favored by migrating songbirds. 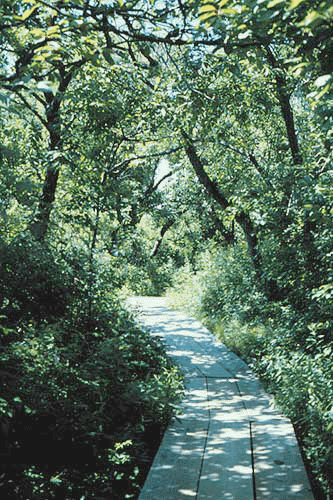 Hellcat Swamp Trail — Down the beautiful Hellcat Swamp trail on Plum Island’s Parker River National Wildlife Refuge. 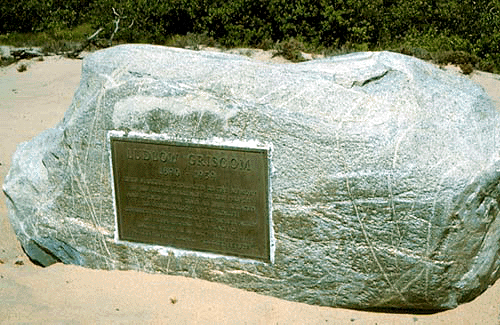 Griscom Monument — A monument to the legendary New England naturalist Ludlow Griscom (1890–1959), made from a glacial boulder in the Plum Island pines. When I was a graduate student at Harvard my desk in the MCZ Bird Department had been Griscom’s desk. 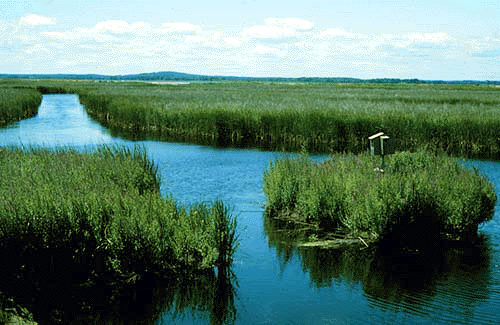 Plum Island Marshes — Looking out over the marshes of the Parker River National Wildlife Refuge on Plum Island.